Lifestyle Villas features fantastic Los Cabos vacation specials throughout the year. Bookmark this page or sign up for our newsletter to get notifications of new vacation specials as they are announced. Applicable to new reservations only & may not be combined with other promotions. Inclusion of services may vary per promotion & may not be combined with other promotions. 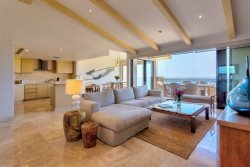 LAST MINUTE EASTER BREAK SPECIAL IN CABO!